First shot on UV ID film. Ouch the the Vindaloo Chicken was certainly spicy. 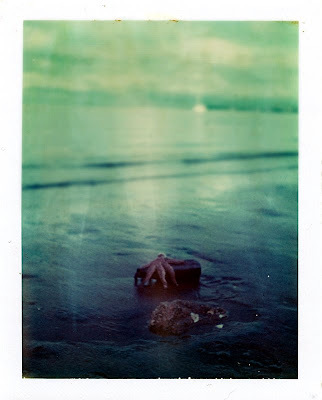 Captured on FP-100c silk film. Don't you hate it when your face gets 404'd? Shot on fp-100c silk film. Found abandoned on Fort Street, near the escalators there. Shot on 600 film with polarising filter. Taking at Cornwallis Wharf in Manukau Harbour. Shot on UV-ID film. 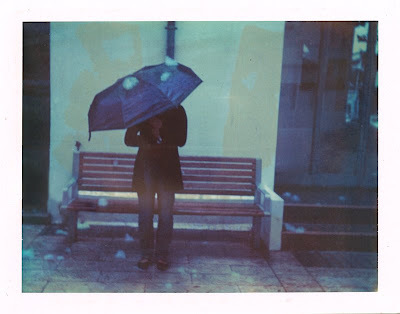 Shot with expired integral 600 film (polaroid) and a polarising filter. At the sky tower in Auckland. 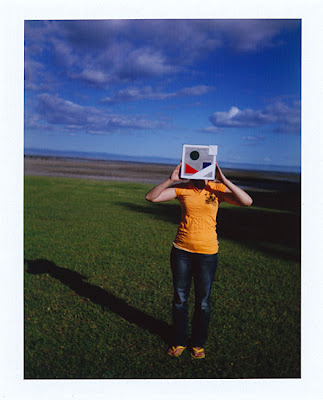 This was shot on FP-100c Gloss. Unfortunately - this film has a tradition of getting really mangled in my 104 cam. This is the only shot that survived out shooting 2 packs of film in this camera. Was taken at Fairy Falls, in the Waitakere Ranges of Auckland. 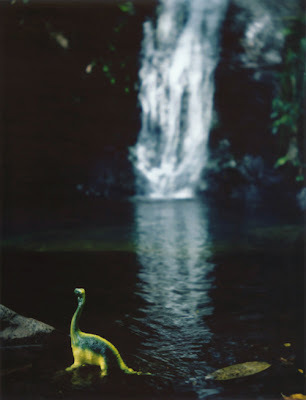 Unfortunately, I forget the plastic dinosaur at the falls, when I went back to retrieve it, it was already gone. This was shot on Polaroid 125i Passport film. I was surprise of the colour saturation, it reminds me of fuji film. 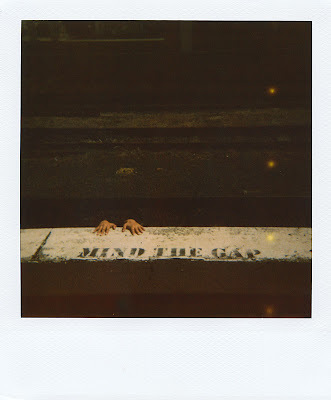 Shot at the Parnell Railway Station. 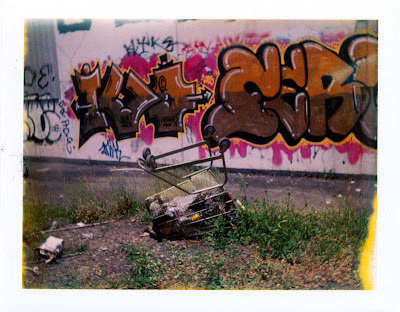 Shot on 779 Poloroid film (integral film) at the old Parnell Rail Station - on of the few (in fact I don't know of any other in Auckland) abandoned places in Auckland. The 'fairly lights' are from the rollers when the film is expelled from the camera. The film is expired as well. This one is a tribute to one of my favourite artists - the ever whimiscal michael sowa. 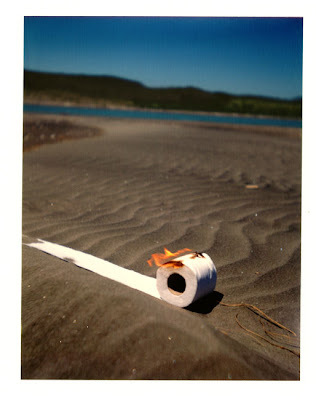 This wa shot on fp-100c at Mills Bay in New Zealand. 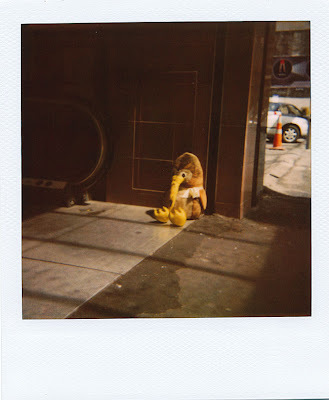 Shot on FP-100c. 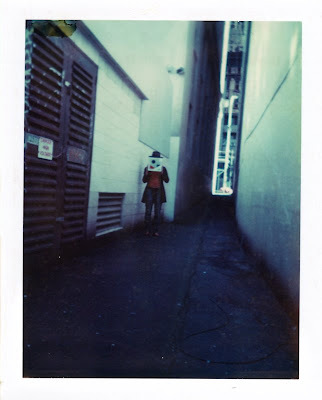 The colours with Fuji fp-100c are really saturated. I really like the film. 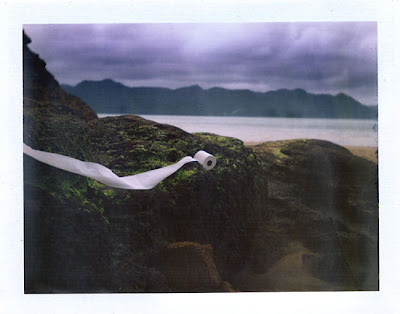 Polaroid film tends to be a bit desaturated but has more of an artistic feel. This shot was taken on new years day, at symonds street cemetary. 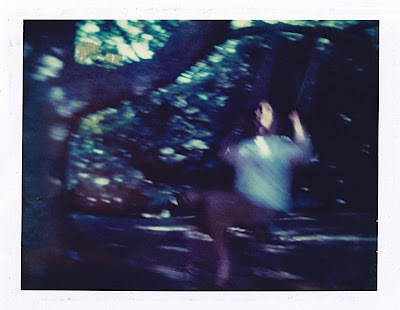 I wanted to get an idea how instant photography capture motion shots. This is shot on UV-ID film (I really like this film). 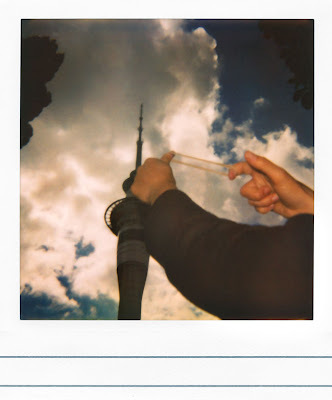 This is pack film - you have to be a bit careful scanning it at times because the the polaroid watermark can bleed through. I am also based in New Zealand, so this is where most of the subject matter will take place. 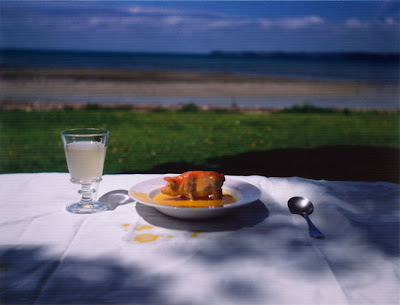 Incidently, 'Parahanga' is maori for 'junk', 'litter' or 'stuff' - which I think is a fitter description of my work. I'll have an authentic website something in later in the year (or maybe 2010, 2011 etc) but this is a pretty good place to get started. Leave comments. Incidently - if you want to see my polanoid account the direct url is here: parahanga polanoid. Below was taken near Manukau Heads, near Awhitu Penisula. 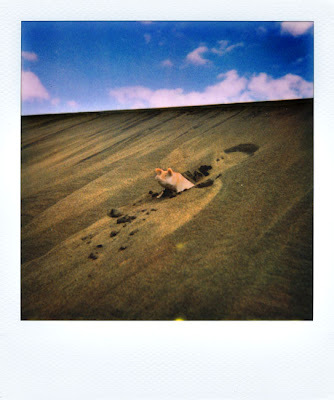 Its one of the first shots I've taken using instant medium, shot with Fuji fp-100c silk (its a peel apart film) using my Polaroid 104 camera.